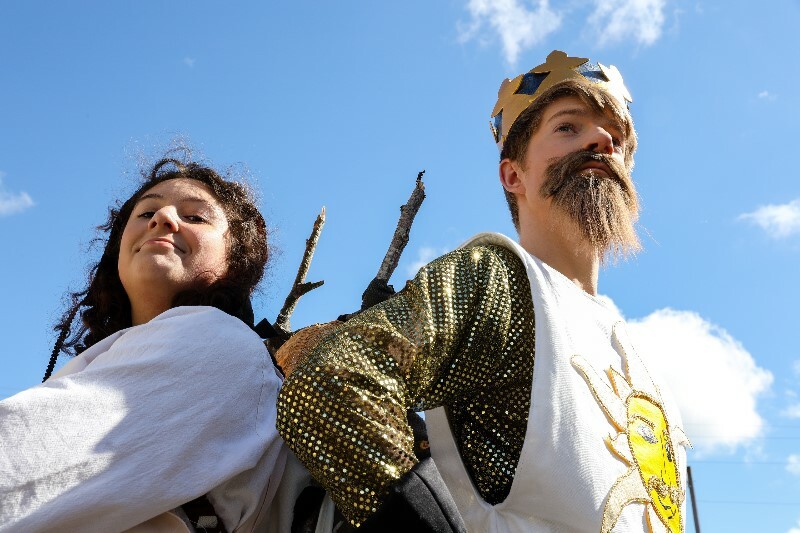 Appropriate for younger audiences, Metropolitan Performing Arts (MPA) presents Monty Python’s SPAMALOT: Young@Part Edition based on the 2005 Tony Award winner for Best Musical, Monty Python’s SPAMALOT. Lovingly ripped off from the motion picture, Monty Python and the Holy Grail, Spamalot is the fresh Broadway hit and irreverent parody of the Arthurian legend. Rude Frenchmen, the Lady of the Lake and her Laker Girls, Killer rabbits, catapulting cows, and the somewhat odd Knights who say “ni” are just part of the adventures and dangers awaiting King Arthur and his knights of the very very very round table in their quest for the holy grail. Performances are March 29th-31st, 2019 at the Brunish Theater inside the Portland5 Antionette Hall. This production is directed by Kris Heller, music directed by Rebecca Chelson and choreographed by Ryan Mayfield. Cast members include 26 young performers part of the Musical Theatre Program at MPA. Special events include a red-carpet opening night! Friday, March 29th at 6:00pm with activities before the show. Dress in your party best and meet King Arthur and other characters after the show on the red carpet. VIP tickets holders receive a polaroid photo on stage with King Arthur and the Lady of the Lake, premiere reserved seating and a souvenir show gift. On Sunday, March 31st at 11:00am it’s family day show where all tickets are one discounted price. Metropolitan Performing Arts (MPA) is a Vancouver based non-profit academy and community theater that offers professional, technique driven classes in acting, dance, music and tech. Their mission is to enrich the community by providing performance and educational opportunities in the live arts. The cast of Spamalot the Musical, Y@P is part of the Musical Theater Program. The program’s focus is to train ‘Triple Threats’- talented individuals who can sing, dance and act with equal accomplishment. For more information, visit www.MetropolitanPerformingArts.org. Tickets can be purchased on line at www.portland5.com or by calling (800) 273-1530. Performance dates: opening Friday, March 29th at 7:30pm, Saturday, March 30th at 2:00pm and 7:00pm. Sunday, March 31st at 11:00am and 4:00pm. Run time is approximately 90 minutes with a 10 minute intermission.